Don’t wait until after you walk across the stage in your cap and gown to start your search. You should be looking for attorney jobs long before that graduation day. In fact, it’s never too soon to begin your job hunt. For example, if you had a summer internship between your second and third year of law school, make sure you stay in touch with the law firm. Continue to develop a relationship with them. This way, when you show interest in your getting hired, they may think of you first when any openings arise. But don’t focus on just one law firm. Make sure you’re sending your resume to as many firms as possible. Remember the expression, “It’s not what you know, it’s who you know”? There’s truth in that old adage but only if you put it into action. Tell everyone you can think of that you’re going to graduate law school soon and you’re looking for a job. Maybe a friend of a friend might have a lawyer in the family. You never know until you ask around. Ask your professors if they’ve heard about any job openings. Go to your school’s career services office. Along with taking advantage of the career services office at your law school, be sure to reach out to alumni or attend alumni events in order to network and build contacts. Being that you already have something in common, it is easier to strike up a conversation and establish a good rapport. Most alumni would like to lend a hand to one of their own when or where they can. If you interned for at least one law firm while in school, with luck you may be offered a permanent position. If they didn’t offer you one but you felt you served them well, let them know now that you’re looking for a job. Looking for work as an attorney shouldn’t be a mindless task. One resume won’t fit all. You have to take a specific approach. With each job posting you come across, research the law firm and pay close attention to what qualifications the position requires. Emphasize those skills you have on your resume and in your cover letter. Above the Law, an online publication covering legal news and trends, offers some resume writing tips that may help you. Always have someone else look over your resume if you have the time. There could be some typos you missed or awkward phrases that should be reworded. You want your resume to be as error-free as possible. The staff at your school’s career placement office would be happy to look over your resume and give you their feedback. They have the experience you need. Your resume is a law firm’s first impression of you, so make it great. Law firms are increasingly withholding job offers until after the applicants have taken the bar exam. It’s critical to take all of the necessary steps so you can pass the bar exam on your first try and jump right into the workforce. Such steps include signing up for a bar review course and getting organized. Remember all of the time you spent studying for the LSAT, applying to law school and listening to lectures on case law? You’re not done yet just because you graduated. Just hang in there a little longer to pass this one last exam. Think of law school as a marathon, the bar exam as your last mile and your bar exam prep course as your second wind. Be sure to finish strong. 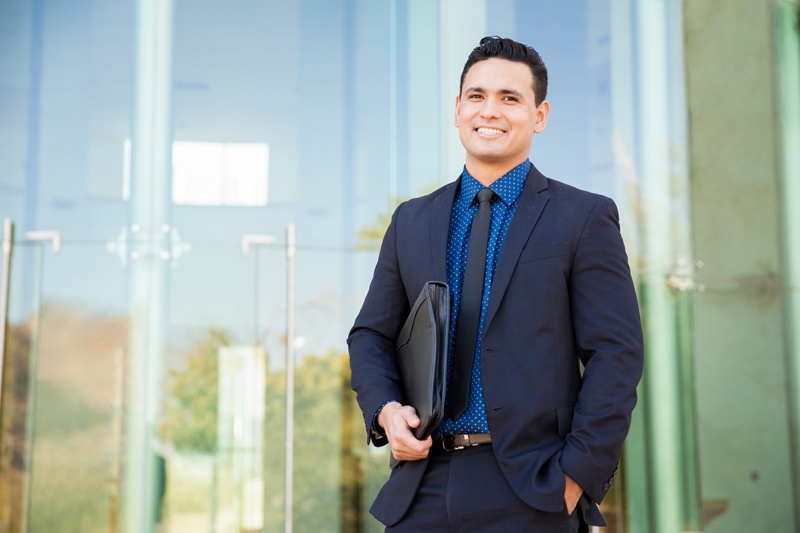 If you’ve already graduated from law school and passed the bar, think of applying for positions in the legal profession as a temporary, full-time job. Spend as much time as you can each day to your job search. The more resumes you send out, the quicker you’ll land an interview—and the sooner you’ll get hired. If you’ve followed these steps with due diligence, you’ll get called to set up an interview. Your resume gets your foot in the door, but your interview lands you the job. If you need guidance or a run-through, let the staff at the placement office lend their advice. Practice makes perfect. In your mind, go over all the questions you might be asked, research the firm before you arrive, come with your own questions—not about the salary unless they bring it up—and let your enthusiasm shine through. It’s natural to be nervous. But don’t let your nerves consume you. Remember there’s a reason this firm wanted to interview you. You’ve made them curious to know more about you. Highlight what you’ve learned in law school and how you can apply those lessons at the firm. Most important, be confident that you’re the one they’re looking for.